Paul Duchemin was all in preflop holding [Ad][8c] against his opponent's [Ah][Tc]. Paul would need to hit an eight to survive, but lady luck was not on his side as the board ran out [3c][Kh][Ac][6d][Th]. Paul will exit this tournament in 4th place, good for $13,671. Event #6: $365 NLH has reached the final 9 players and are bagging up their chips for the night. Play will resume tomorrow at 1pm EST and will be streamed on www.FoxwoodsLive.com. Chip counts and seating assignments will be posted shortly. 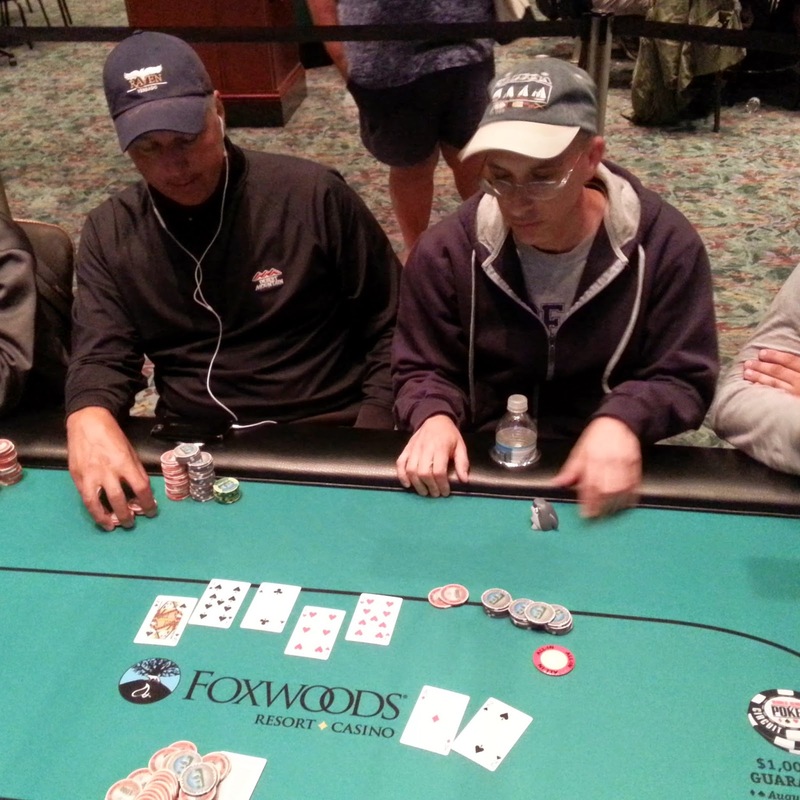 Glen Minxolli was all in preflop holding [9s][9c] and was up against Mark Schumacher's [Kh][Kd]. The board ran out [8h][8s][Th][Ac][6h] to send Glen to the rail in 5th place, good for $10,298. Mike Nye was all in under the gun and action folded around to William Kopp in the big blind. He thought for a bit and ended up calling with [Ad][8s] only to find he was behind Mike's [8h][8d]. The [4d][Qd][7d] gave William 12 outs to win, and the [Kh] changed nothing. Mike asked the dealer to pair the board, but unfortunately for him the [5d] landed on the river, giving William the nut flush. Mike will earn $7,865 for 6th place, and with that finish he is currently in the lead in the WSOP Circuit points leaderboard. Jeff Miller found himself all in with a classic race, his [As][Kd] against the [7h][7c] of John Weiss. 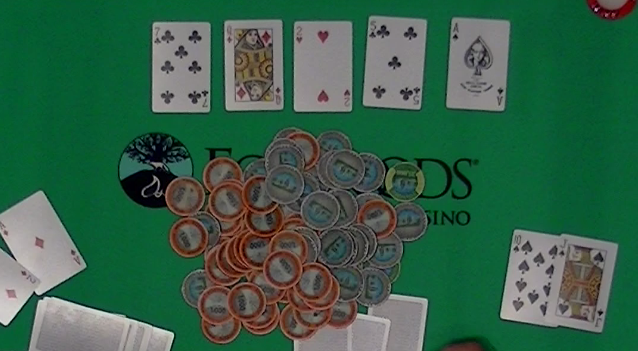 The [3c][5s][9h] flop did not pair Jeff, nor dd the [6s] on the turn. The [8s] on the river gave John an unneeded straight to eliminate Jeff in 7th place. He will collect $6,108 for his efforts today. The board ran out [Kh][9s][3s][7d][Kc] to give William the winning two pair. Bruce will exit this tournament in 8th place, good for $4,812. Mike Nye was all in preflop holding [9c][6c] and was called by Glen Minxolli's [Ah][3d]. 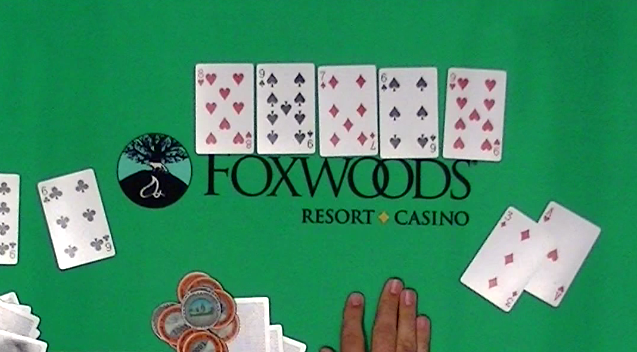 Mike flopped the best hand when it fell [8h][9s][7d], and the [6s] turn ensured Mike would not be eliminated. The [9h] river gave Mike the winning full house, and he will double up to 218,000. Randal Sklar has been eliminated when his [Ah][3d] failed to improve against his opponent's [Ks][Qd]. 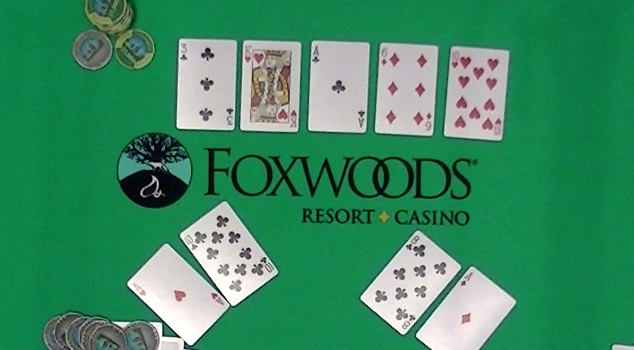 The board ran out [Jd][7s][Qs][9d][Js] and Randal will exit this tournament in 9th place, good for $3,850. The final 10 players are now on their one hour dinner break, resuming at approximately 9:30pm EST. When they return, blinds will be 10,000/20,000 with a 3,000 ante. The board ran out [7c][Qd][2h][5c][As] and Mark will earn another double up. 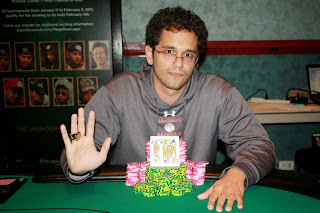 It was a preflop cooler for the John's as Mr. Pura ran his A-K into Mr. Weiss's [Kh][Kd]. The board ran out a pure [9c][3c][2h][2d][8c] and John Weiss will double up to approximately 430,000. Mark Schumacher was all in preflop holding [Ad][2s] and was up against his opponent's [As][Kd]. 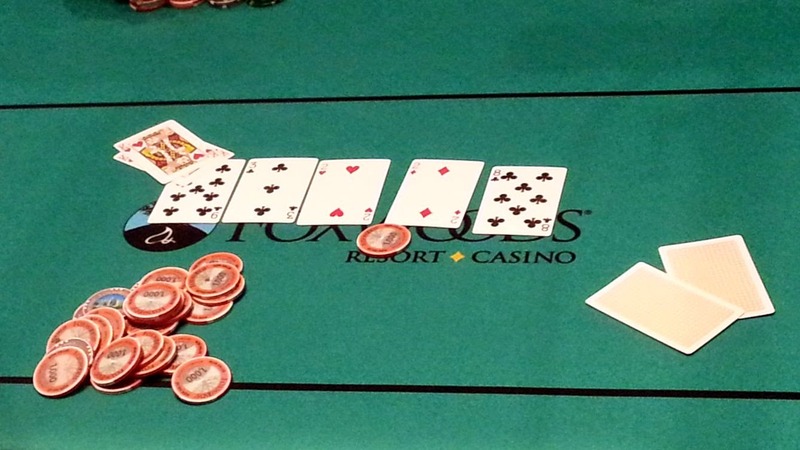 Mark got lucky when the flop fell [Qs][9s][2c], and his pair of deuces held through the [6h] turn and [9h] river. Mark will double up to approximately 200,000. It was a tumultuous few orbits for our final table bubble boy Brian Phelan. First, he was involved in a million chip pot when he flopped a set of sixes against his opponent's flush and gutshot draw. His opponent hit a diamond on the river to make his flush, and the stacks were counted down. It was discovered that Brian was left with four big blinds. He shoved his chips in from the button the next hand and won the blinds and antes. After the next hand was dealt, Brian discovered that he was short a few chips, and the tournament director halted the action on both tables to call surveillance. While that call was being made, Brian discovered a hidden 25k chip, and all was good. 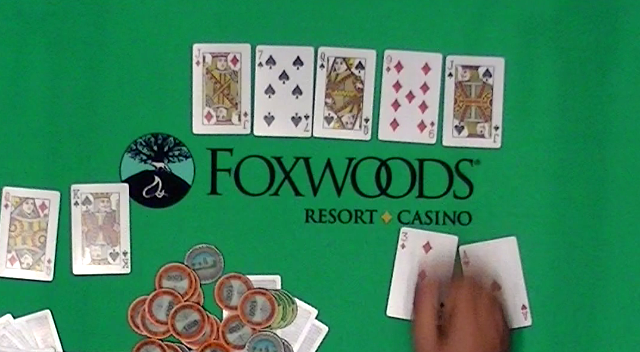 Play continued, and Brian eventually moved all in again with [Ah][9h] and was called by a player with pocket kings. 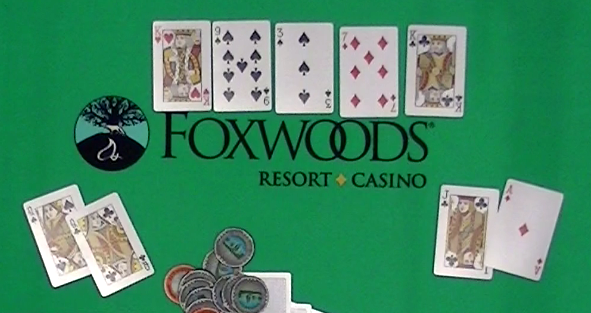 The flop was nine high, giving Brian hope, but the king on the turn left him drawing dead. Brian will exit the tournament in 11th place, good for $3,107. The final table is now set, and we are getting chip counts and seating assignments. Event #5: Day 2 Has Begun! Cards are back in the air in Event #5: $580 NLH. 48 players remain and the top 36 players will make the money. Here are the full payouts. You can watch our featured table on our live stream at www.FoxwoodsLive.com. Cards are in the air for Event #6: $365 NLH. Registration is open for 6 levels, and players will start with 10,000 in chips. At 2pm, Event #5: $580 NLH will resume with the final 48 players, playing down to a winner.